•	AHA customers will be able to get free standard shipping to all addresses in the US with orders of at least $200. Customers can pay extra for overnight and express shipping services, and international customers can order from this company as well. •	Sign up for the free email newsletter AHA offers to save 10% of off the first order placed on the website. Customers will get a free gift with purchase as well, with most of these gifts valued at $25 or more. •	Visit the SALE section of the website to save up to 50% or more off of selected products and merchandise. Aha Life is a marketplace where up and coming designers sell their wares and buyers have a unique opportunity to have access to designers that they would not normally be aware of. There are also some well -known designer goods available as well like Dior and others. Visitors can get 20% off their first purchase by entering their email at the email signup on the landing page. Shoppers can shop by scrolling through the landing page and clicking on the alphabetically listed designers. Each designer is listed in alphabetical order and a graphic of their products is displayed. US shipping is free. 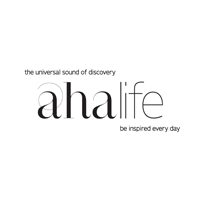 For most up to date offers check out Ahalife on Facebook and Twitter or contact Ahalife Support for any questions.